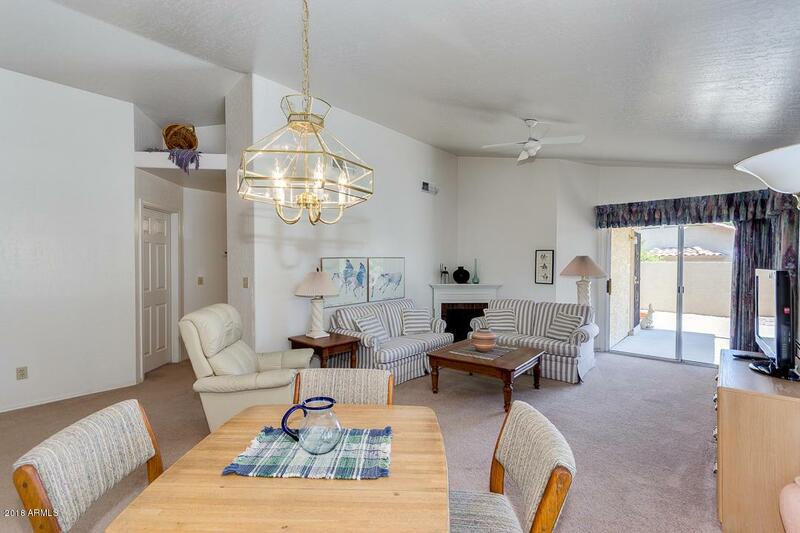 You'll love the open great room floor plan of this 2 bedroom/2 bath property! 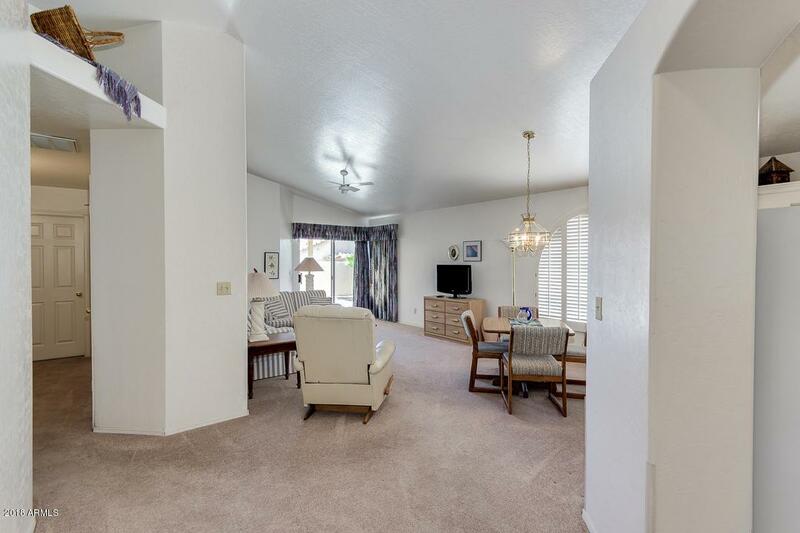 This home has 2 car garage, bay windows, soaring ceilings, neutral paint through the entire house, eat-in kitchen, formal dining area, and laundry area. 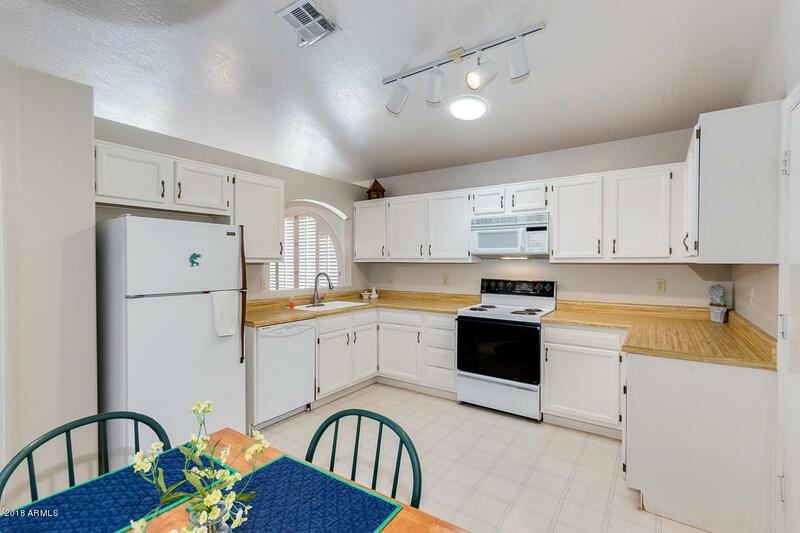 Kitchen includes white appliances, track lighting, and ample cabinet/counter space. Master bedroom offers sitting area, private exit, and bath with double sinks & a large walk-in closet. Peaceful & low maintenance back yard is perfect for relaxing. 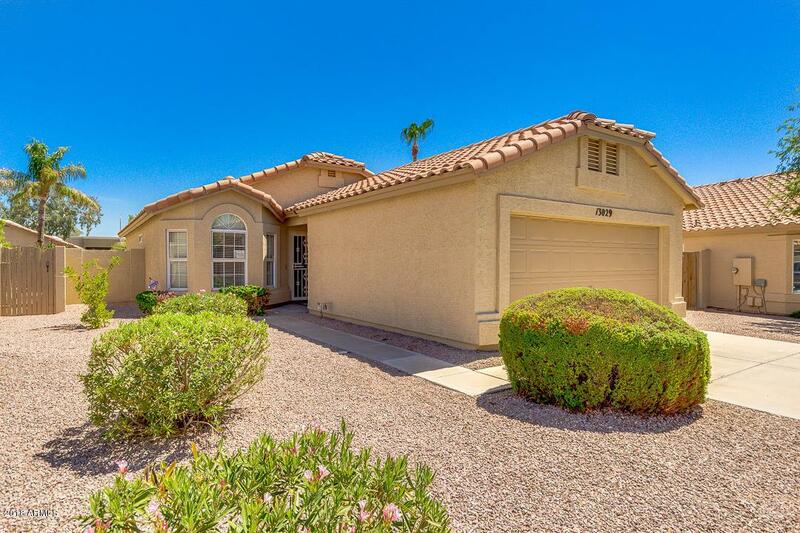 Don't miss out this fantastic cul-de-sac home in an amazing 55+ community with community center w/activities and pool. Schedule a showing before it's gone! !